Autor: Newark, Tim et al. Dimenzije: 25,00 x 25,00 cm. Uvez: meki, plastificiran, s preklopom. Autori: Tim Newark, Quentin Newark i J. F. Borsarello. 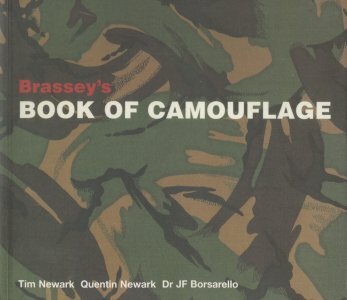 Camouflage has come a long way from jungle drab to modern-day colorful fluorescents—and this volume covers its history and development, with 450 patterns from around the world. 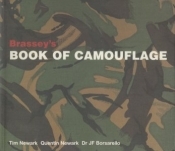 It includes the pioneering and now highly collectible camouflage equipment of the German Army in World War II; the famous Tigerstripe worn by American soldiers in Vietnam; and the classic designs worn by today’s armies, including the U.S. Military “woodlands” pattern and the British DPM (Disruptive Pattern Material). Bogato ilustrirano, između ostalog i fotografije maskirnih uniformi iz Hrvatske. Pogledajte sve od autora: Newark, Tim et al.